A long gun without a sling is like a handgun without a holster, choosing a sling that fits your mission needs, will greatly enhance your handling of the Airsoft gun, and give an authentic and professional look. 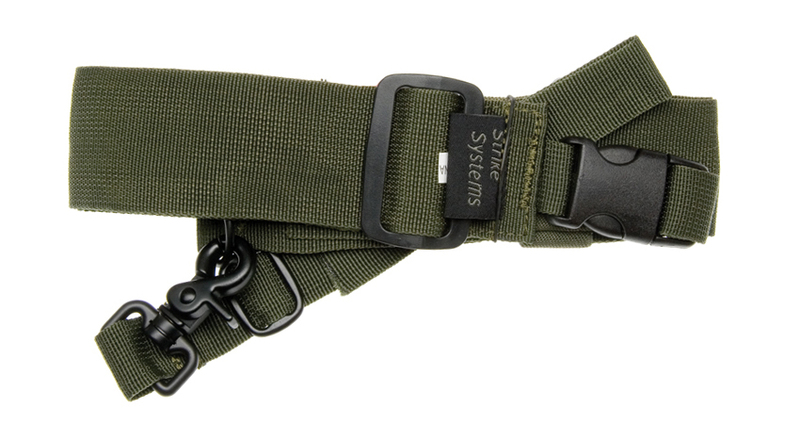 This 1 Point Tactical Sling is simple, and affordable, a truly functional sling which works. This Tactical Sling is made from heavy duty webbing which is durable, yet comfortable. The one great advantage of the single point design is that it is very easy to switch from shoulder to shoulder for weak side barricade shooting. Like the 3-point sling, the single-point sling permits the shooter to drop the weapon and let it hang downward while still attached to their body. This sling design is best suited for short-term tactical use. A single-point sling is only worn in one way, and cannot provide the same degree of long-term anti-fatigue weight support as other slings.